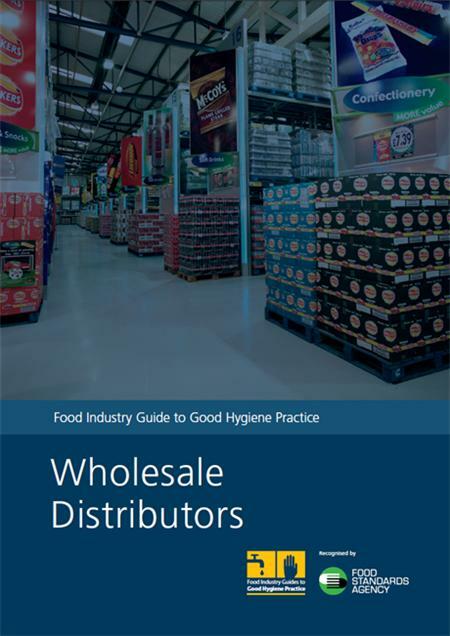 'Food Industry Guide to Good Hygiene Practice: Wholesale Distributors' aims to help food wholesalers meet their regulatory obligations and ensure food safety. It is intended as a guide for wholesale distributors on Regulation (EC) No. 852/2004 on the hygiene of foodstuffs and on the temperature control requirements of the Food Hygiene Regulations 2006 (available below). It is also intended to assist food business operators to comply with the relevant microbiological criteria for foods contained in Regulation (EC) No. 2073/2005, as required by Article 4 of Regulation (EC) No. 852/2004. Officers from food authorities must take this guide into account when they assess compliance with the regulations. Increased legislation and tougher regulations mean that it is now more important than ever for providers of foodstuffs to meet food hygiene standards. A bulk-buy discount is available for customers placing an order of more than one copy of the 'Food Industry Guide to Good Hygiene Practice: Wholesale Distributors' print copy edition: Buy 10 titles for £90 - a saving of 10%. To order, please call: +44 (0)870 243 0123 quoting code 'DJL'.